We haven't covered every significant departure from AMD here, but there have been many. Carrell Killebrew and Eric Demers were among the earliest high-profile AMDers to leave. More recently John Bruno, AMD System Architect responsible for the Trinity platform, left the company and joined Apple. The talent exodus from AMD isn't entirely unexpected. The new executive team is responsible for cutting costs and implementing the company's new direction. Significant actions don't always go over smoothly, reorganizations can create unpopular hierarchies and there's bound to be disagreement on the right way to do things. The state of anything never remains the same, the situation either gets better or worse. For AMD to improve its standing in the market, change is necessary. Today, for the first time in quite a while, a bit of good employment news comes out of AMD. Jim Keller, lead architect on AMD's K8 processor (the original Athlon 64), system engineer on K7 (the original Athlon), and co-author of the x86-64 spec, has returned to AMD. Jim's official title is Corporate Vice President and Chief Architect for CPU Cores, and he will report directly to Mark Papermaster. Keller first joined AMD in 1998 after leaving DEC, having worked on the Alpha 21164 and 21264. Upon his arrival at AMD, Jim Keller immediately went to work on launching the K7. His next tasks were co-authoring the Hyper Transport and 64-bit x86 specs, in addition to working on the K8 architecture. It was the K8 architecture that really gave AMD a significant performance (and power advantage) over Intel, who was shipping Pentium 4 at the time. After his work on K8, Keller left AMD in 1999 and went to work at Sibyte (and later Broadcom after they acquired Sibyte). The stint at Sibyte/Broadcom was longer than his time at AMD, but in 2004 Jim Keller joined PA Semi as the Vice President of Engineering. Apple eventually acquired PA Semi in 2008, and Keller went with the team. 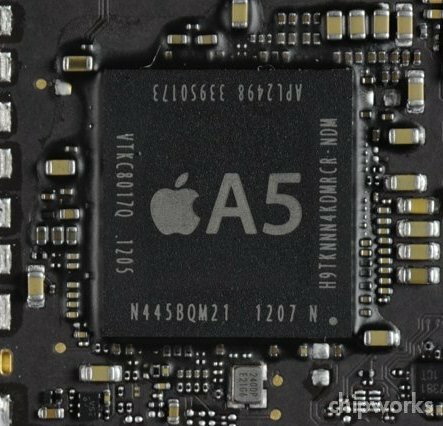 While at Apple, Keller worked on the design teams for the A4 and A5 SoCs. He was also in charge of defining the specifications of two MacBook Air generations. The late Steve Jobs felt it prudent to have the best graphics and chip architects around, as they would be able to define performance needs and come up with system requirements better than anyone else. Raja Koduri, former AMD Graphics CTO, was Jim Keller's graphics counterpart at Apple where he still remains today. Indeed the impact of Keller, Koduri and others like them was best felt when Apple seemed to always integrate the right silicon at the right time. In his new job at AMD, Jim Keller will likely be faced with the difficult task of getting AMD's x86 performance back on track. There are many working on this problem already, but Jim's addition should be a good one. At a high level, Keller's product track record looks excellent. Let's hope he can pull another Athlon out of his hat the second time around at AMD. "Keller first joined AMD in 1998" and "Keller left AMD in 1999"
how can he be the father of a K8? something seems wrong, but I can't say what. I have no idea what "complete the design" means, but morfinx is essentially correct. The number is substantially larger for x86 designs than other designs because they are so complex.